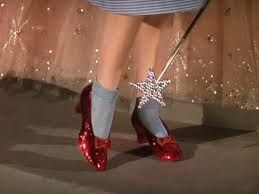 "Jean Houston takes us on a whirlwind tour of the authentic American myth of the Wizard of Oz. She answers the question of what it means to have a brain, a heart, and act with courage. 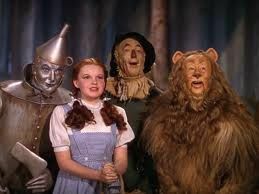 Using the characters of the scarecrow, tin man, lion, and Dorothy, Houston inspires us to follow our deep yearning in order to develop and contribute to a better world with our full human capacities. She tells us, “We are in the most critical time of history. The time in which we decide whether we grow or die, whether we evolve or perish. Each of us comes in with a kind of added response-ability and we have to prepare ourselves and deepen ourselves and constantly educate ourselves to be the stewards of this time.” (hosted by Justine Willis Toms). ~To listen to this one-hour interview, click the title. It's 'free' through February 26, 2013---after which you can purchase the interview for a nominal fee.